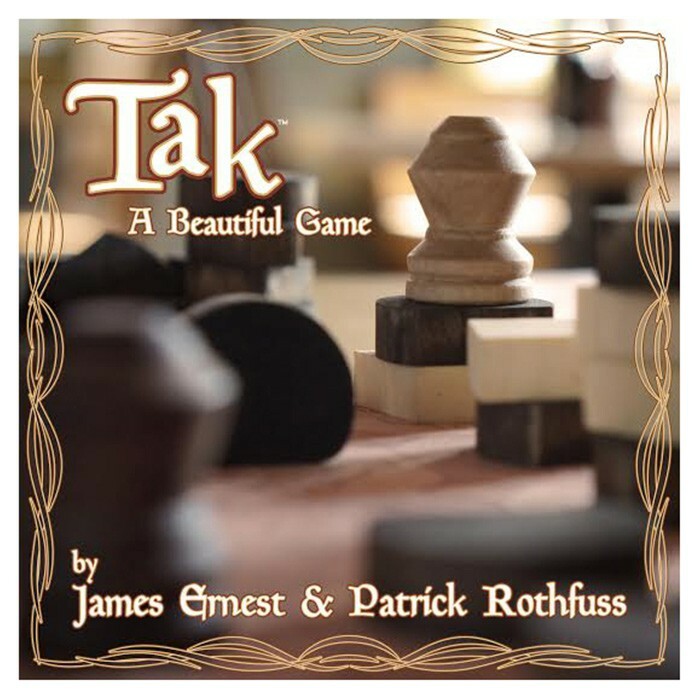 Taken from the pages of Patrick Rothfuss's Kingkiller Chronicle and made reality by renowned designer James Ernest, Tak is a beautiful two-player strategy game boasting an elegant new design that feels like a familiar classic. The goal is simple: make a road connecting two opposite sides of the board. Players may place a stone in an empty space, move a stone to an adjacent square, or spread stacks of pieces along the board. Whether you win or lose, be sure to make it a beautiful game.